How to recover deleted photo or image from hard drive or ssd or external hard disk drive. Photo got deleted means a memory got erased. In this social networking era, where before tasting the new dishes, we first pose with the dish. Our traveling is not complete with out some comments and likes. Sorry I am getting off topic here. So where we are, I want to tell you about an interesting software that comes handy at that particular moment. 1. Obviously Easeus Data Revovery Wizard, not only because it perform well but also because of its easy user interface. Recover data after operating System installation. 2. Recuva from the company CCleaner. I want inform my readers that I am sharing any affiliated links, nor I am paid to promote, or write about Easeus, I just share my personal opinions, that comes from my uses. Its up to you, which one you trust most. 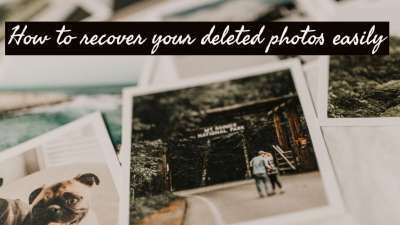 Please use "How to recover deleted photos easily" to get back your deleted data, image or photo from your hard disk. If you find any problem in that please feel free to write in comment section.